Born Mariel Margret Hamm, and known by the nickname of “Mia,” she grew up a “military brat” to parents Colonel Bill and Mrs. Stephanie Hamm. She and her five siblings spent their childhoods on different Air Force bases throughout the world in such places as California, Texas, Virginia, and Italy. While in Italy, her father fell in love with soccer and encouraged her to play, but she played any sport that was in season. “You moved to a new base and had new friends as soon as you joined a team,” she says. Eventually she adapted to soccer, as it was her older brother Garrett’s favorite pastime.Under the guidance of Coach Anson Dorrance she joined the American National team at age 15, becoming its youngest member. Mia followed Dorrance to Chapel Hill, North Carolina, where she led the Tar Heels in four national championships, while earning All-America honors three years and finishing as the ACC’s all-time leading scorer. She graduated from UNC in 1994 with a degree in political science. The pair went to China in 1991, where the U.S. won the inaugural Women’s World Cup. As the youngest member on this team, Mia started five of six games and scored an impressive pair of goals. This first-ever three-time U.S. Soccer athlete of the year (1994-1996), then became a member of the Gold Medal winning U.S. Women’s National Team at the 1996 Centennial Olympic Games. Her dedication, skill, and love of the sport of soccer is apparent every time she steps onto the field. Recognizing how fortunate she is to have had the opportunity to play, the tremendous impact it has had on her life, and the death of her brother Garrett from aplastic Anemia, Hamm pledged to make a difference. She created the Mia Hamm Foundation to raise funds for bone marrow transplant patients and families . With the support of founding partners Nike, and Gatorade, the foundation will also develop programs and initiatives for young female athletes. Do you want to hire Mia Hamm? Directly request a quote. In 48 hours we can send you the availability of Mia Hamm If you would like to book Mia Hamm, Entertainment Booking Agency is the right place. We will offer you the best price and contact the management or we directly contact Mia Hamm. For corporate appearances or speaking engagements you can contact our agents and the will help you true the process. Tags: hire Mia Hamm, Mia Hamm booking, book Mia Hamm, Mia Hamm appearances, find more information on booking Mia Hamm for appearances, Mia Hamm speaking engagements, Mia Hamm endorsements/spokesperson, Mia Hamm appearance fees, Mia Hamm booking agency contact info, biography of Mia Hamm, Contact an artist booking talent agent find a speakers bureau that can book Mia Hamm, speaker booking agency for Mia Hamm, Mia Hamm booking agency, Mia Hamm booking for corporate event. EBA is one of the biggest entertainment booking agencies in the World. We book hundreds of celebrities, artist, athletes and speakers in a year. Important to know is that we are not claiming to be the management of Mia Hamm. 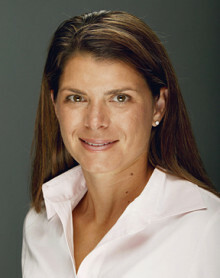 We are not the official agent for Mia Hamm. Companies from around the globe book these artists and speakers true our company be course we have one of the biggest networks and we always have direct contact with the artist or the management. We help you to find the right celebrities for your corporate of private events. Please contact one of our agents to get free advice and we will help to get the world-famous artist on your party.